Everything is moving to a more natural version. Food is homegrown, and cars are environmentally-friendly. Home appliances are energy efficient. Yet, the quality of indoor air isn't as eco-friendly and safe as it could be. This negatively affects anyone in your home, especially those with asthma or allergies. Dehumidify the house. Dehumidifiers attract biological contaminants if you don’t keep up with maintenance. To save time and money, crack open a window for the same effect. It doesn’t work year-round, but you can also avoid moisture by not overwatering any of your houseplants. This maintains an appropriate level of moisture in the air per plant. Stop smoking. Secondhand cigarette smoke is “the single most important aspect of indoor air pollution,” said Philip Landrigan, the director of the Children’s Environmental Health Center at Mount Sinai School of Medicine in New York. If someone in your home smokes inside, take it outside for better indoor air quality. This action decreases the chances of developing ear and respiratory infections, asthma, and cancer. This is especially crucial if you live with children. The choice to stop smoking is a simple solution with positive results. Empty the refrigerator. Don't keep stale or moldy leftovers in the fridge. Throw away any bad food to reduce biological contaminants floating in the air. This makes room for fresh food, so you can eat and breathe healthy. Don't use artificial scents. Fabric softeners and indoor air fresheners mask the smell of sweaty soccer gear or a burnt breakfast. However, taking this shortcut does more harm than good. The fragrance compositions of these products emit about 20 different volatile organic compounds. This includes seven common chemicals that are “toxic” and “hazardous” under U.S. federal laws. Think about it: These products say “do not inhale,” but are sprayed in the air? Instead of buying Febreze or Lysol, mix lemons with baking soda and vinegar for a clean, natural scent. Bring nature inside. According to NASA, certain plants give your home a toxin-free natural cleaning. It controls pests brought inside from shoes, clothes, or open doors and windows. Aloe vera, English ivy, ferns, peace lilies, Chinese evergreen, and spider plants act as natural air purifiers. They absorb chemical pollutants released by synthetic materials. Poor indoor air quality causes sneezing, watery and itchy eyes, a dry mouth and/or throat, and coughing. To keep your family healthy, keep your home’s indoor air pure. 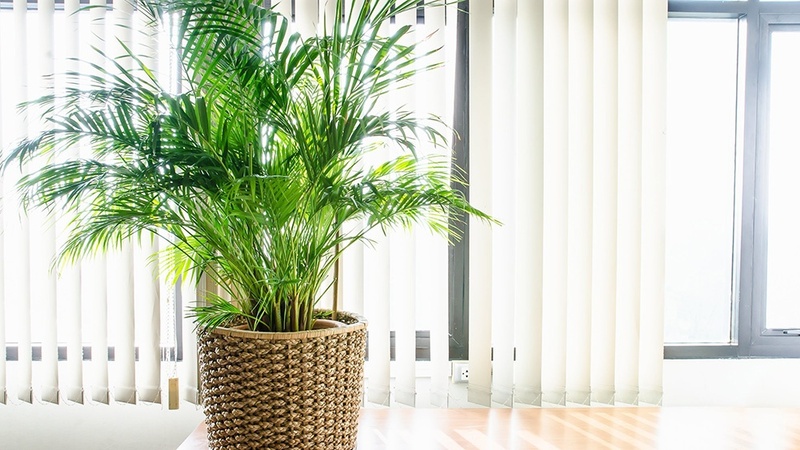 Try air-purifying plants, but don't overwater them to organically dehumidify your home. Use these plants as natural air fresheners, too, to ditch synthetic sprays. Throw out any old food and stop smoking inside.